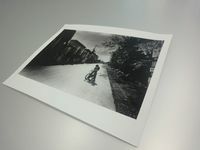 AZITO is pleased to introduce five new artworks by Daido Moriyama, whose unique style captures the old scenery of Hokkaido in 1978, more than 30 years from now. Daido Moriyama is the one of the most famous photographer who influenced the youngers with his black and white photography style. 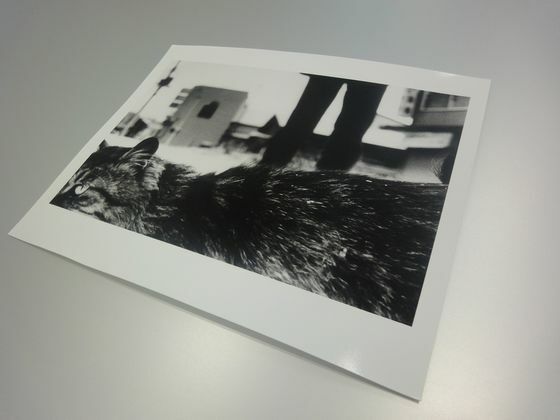 It is so-called “rough, slur, blur” and we can easily tell that it was taken by Moriyama when we face his work since his style is so much unique. I feel some sort of manly sense in it, but not meaning like a strong muscular power. It is more like a man smoking cigarette viewing the world not pessimistically or optimistically, but as it is. Not trying to give an aid to the people inside the finder but to accept their existence, like a older brother seeing their younger brother. 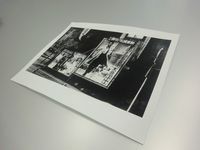 In the 60s and 70s, Moriyama was causing waves in the Japanese photography. There were no other photographs capturing the people or the city like he did. He kept trying to find the answer to what is photography is. And this question trapped him in a long tunnel as he could not pressing the shutter after 1972. In the summer of 1978, Moriyama decided to visit Hokkaido. He had already been there before and he liked the atmosphere in that area. Hokkaido is the northernmost prefecture in Japan. There was not airplane flying from Tokyo to there at that time so he had to take trains and ships to get there. Hokkaido is different from Tokyo in many points. The climate is not much humid as Tokyo is and there is a vast expanse of land. Hokkaido was like a foreign country for him. 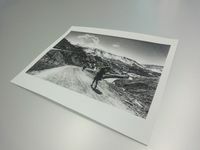 The 5 photographs and the photobook named “Northern” which we introduce, were taken in this period. They were taken in 1978 but for the next 30 years the negatives would slumber peacefully in a cardboard box, unprinted, until 2008. 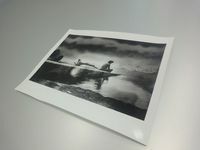 Although he refused for 30 years to print them since it was taken in the period when he was depressed, they are all capturing Hokkaido in a very natural way, not dark as his emotion must have been like. The people’s life are poor but it does not look sad. This might be because Moriyama naturally had a large mind to accept any kind of situations or people who are living their own life and it attracts us.